Attorney Annie Virginia Stephens Coker was born in Oakland, California, on April 7, 1903 to William Morris and Pauline Logan Stephens. Coker attended public schools in Oakland. Her family moved to Pacific Grove, California, where she graduated from high school in 1921. Coker later attended the University of California at Berkeley and received a bachelor’s degree in science in 1924. Encouraged by her father to attend law school, she enrolled in Boalt School of Law at UC Berkeley and earned a degree in 1929. At that time she was only the second woman to receive a law degree from the school and the first African American woman to complete the program. 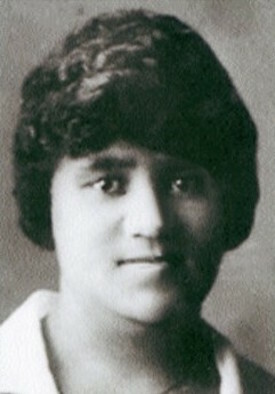 Coker passed the California Bar in the same year, the first African American female attorney in California. The doors of most law firms in California were not open to African American attorneys in the early 1930s. Coker then moved to Alexandria, Virginia, and maintained a private law practice there for almost a decade. In 1939, Coker ended her law practice and returned to California, settling in Sacramento. Recognizing that government service now offered more opportunities for women attorneys than private practice, Coker joined the State Office of Legislative Counsel as a junior deputy legislative counsel. She worked her way up to head of the Indexing Section. There she compiled all of the state codes, kept them current, indexed all bills pending before the legislature, and rendered legal opinions about the proposed legislation. One co-worker described her as a “conscientious” person who worked tirelessly to ensure the accuracy and timely dissemination of the indexed bills to the California legislature. Coker retired in 1966, after 27 years of distinguished public service. At the time of her retirement she was recognized as the attorney with the most longevity at the State Office of Legislative Counsel. Annie Virginia Stephens Coker died in Sacramento, California on February 17, 1986 at the age of 83. Brenda F. Harbin, “Black Women Pioneers in the Law,” The Historical Reporter 6 (Spring 1987): 6-8; Nancy McCarthy, “Annie Coker: A Pioneer California Lawyer,” California Bar Journal, February 2008, http://members.calbar.ca.gov/fal/Member/Detail/11458; Jonathan Watson, “Legacy of American Female Attorneys,” 2015 revised.